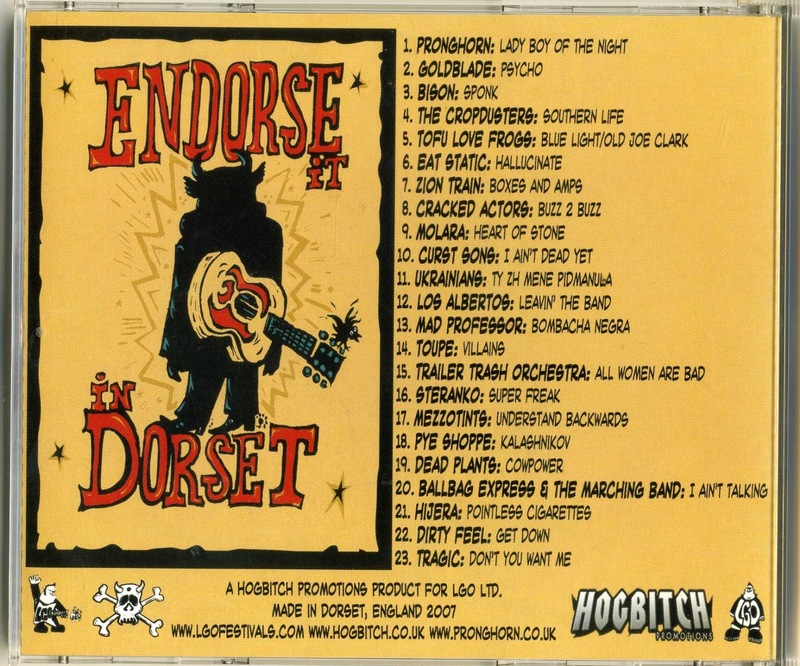 This is a great cd compilation which came out to present the artists performing in the 2007 edition of this amazing festival held in the countryside in Dorset. There is lots of cow-punk in it both as attitude and music. 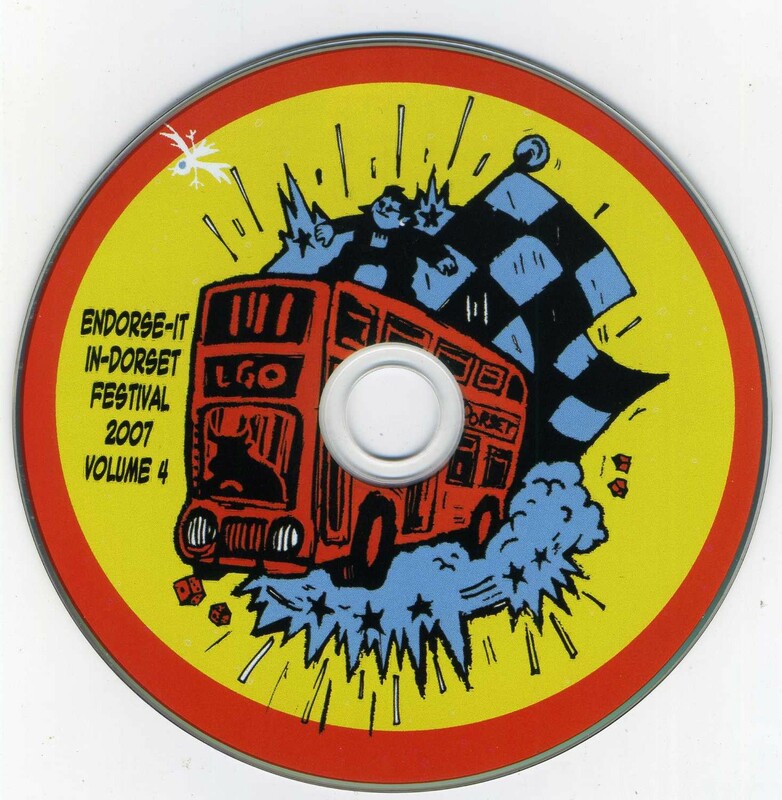 Super cool bands, great fun: fast ska,crazy folk-ragga, country punk, deviated electronics, acid dub, cow-punk and a bit of pure rock make this cd-sampler a stunning document to explore and dance. 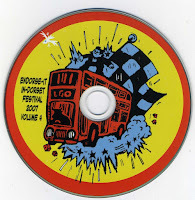 Hogbitch seems to be the personal label by Pronghorn: an UK band that promote themselves as The Kings of Cowpunk since 1992. 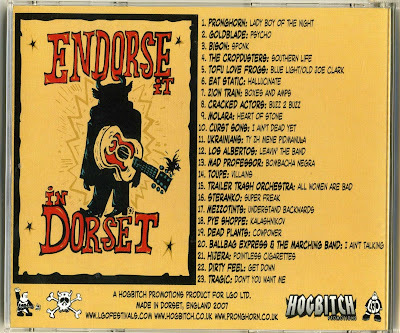 To complete this post I am going to attach the video of the 'official' 2007 film from the Endorse it in Dorset Festival, total running time is 25 minutes, it has been split into 5 parts for Youtube, enjoy.